Luke wasn’t an eyewitness to Jesus’ ministry, but he lived during the first century, and according to his own writings, he “carefully investigated everything from the beginning” (Luke 1:1–4). As a traveling companion of Paul, he also likely had direct access to the apostles and other accounts of Jesus’ life and ministry (such as the Gospel of Mark). While he was presumably educated as a physician (Colossians 4:14), today Luke is celebrated as one of the church’s earliest historians. His methodical, detailed writings give us the only thorough record of what happened after Jesus ascended to heaven. Without his account in Acts, it would be hard to imagine how Christianity grew from a small, fragile movement within Judaism to what would eventually become the largest religion in the world. So who was “Luke the Evangelist”? What do we really know about him? Can we trust him? 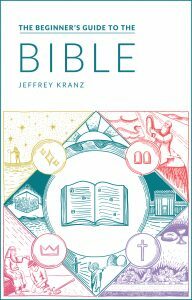 In this guide, we’ll explore what the Bible says about him and how we know what he wrote, and we’ll answer important questions about his authority and reliability. First, here are some quick facts about Luke. Most of what we know about Luke comes from his own writings and a handful of mentions in Paul’s letters. Some details of his life are ambiguous, and scholars debate what we can really gather from the limited evidence we have. Luke makes it clear that he was not an eyewitness to Jesus’ ministry (Luke 1:1–4). He never includes himself in the gospel narrative. From the Book of Acts and Paul’s writings, we know that Luke was one of Paul’s companions. In Acts 16:10, Luke suddenly inserts himself into the narrative, including himself among Paul’s companions. It has always been assumed that these are references to the same Luke, and many of the earliest Christian writers point to this man as the author of both Luke and Acts. This certainly would’ve come in handy for Paul, since he was constantly getting beat up (Acts 14:19, Acts 16:22, 2 Corinthians 11:24, 2 Timothy 3:11). An early prologue to the Gospel of Luke (possibly as early as the second century), also records that Luke “was born in Antioch, by profession, was a physician. He had become a disciple of the apostle Paul and later followed Paul until his [Paul’s] martyrdom. He died at the age of 84 years” (Anti-Marcionite Prologue to the Gospel of Luke, emphasis added). In his own writings, Luke often uses common medical terminology to describe illnesses and afflictions. In Luke 14:2, Jesus encounters a man with dropsy, or “abnormal swelling of his body,” and Luke uses the word hudropikos—a common term in Greek medical literature that’s found nowhere else in the Bible. Luke’s precise terminology draws from his experience as a physician and sets him apart from the other biblical authors. Luke’s title, “The Evangelist,” comes from the fact that he wrote one of the four gospels. Matthew, Mark, Luke, and John are regarded as the Four Evangelists because their writings proclaim the “good news” (or gospel) of Jesus Christ. Many people argue that Luke was a Gentile, which would make him the only Gentile author of the New Testament. Like many beliefs about Luke, the evidence for this claim is ambiguous, and far from definitive. And while Luke likely was from Troas or Antioch, that doesn’t mean he couldn’t have been a Jew. It’s entirely possible that Luke was a Hellenic Jew: biologically Jewish, but culturally Greek. Hellenic Jews adopted the customs of Greek culture, and didn’t follow all the Jewish practices such as circumcision. Since circumcision was a central issue in many of Paul’s writings, it wouldn’t be surprising if he intended for “the only ones of the circumcision group” to simply refer to the Jewish Christians who strictly followed the Law of Moses and believed circumcision was required for Christians. That said, many scholars still hold the position that Luke was a Gentile. Not to mention, Luke never speaks in first person in the Gospel of Luke. As one of the 72 disciples, he surely would’ve witnessed some of the events recorded in his gospel, but he never once refers to himself in any of the events he records (like he does in Acts). Presumably, this is because his gospel is entirely based on other accounts (like Mark, and possibly the mysterious Q document). Around the eighth century, a tradition emerged that Luke was an artist, and that he’d painted Mary, Paul, and Peter, as well as produced an illustrated gospel. A few centuries later, several paintings were falsely attributed to him. Scholars largely consider this aspect of Luke’s character to be legend, as no record of it exists in the early church, but some churches today still embrace this as part of Luke’s identity and even claim to have work he created. As a result of this legend, he became the patron saint of artists. Most scholars believe that Luke was born in Antioch (as the Anti-Marcionite Prologue to the Gospel of Luke and early Christian writers claim). Acts doesn’t tell us this, either, but Antioch does get quite a bit of attention in the book. Was Luke one of Jesus’ twelve disciples? While Luke wasn’t an eyewitness to Jesus’ ministry, he certainly had access to at least the accounts of those who were (Luke 1:1–4), including the Gospel of Mark (believed to be Peter’s account, handed down to John Mark). Some argue that “apostle” is a title reserved for the original 12 disciples, with perhaps an exception for Paul (“the apostle to the Gentiles”). Others use it more broadly to include the 72 disciples or important early Christian teachers. But apóstolos, the Greek word we translate as apostle, literally means “one who is sent off,” and some use this as a basis for using the title for all Christians—or at least including people like Luke. But from its earliest days, the church has always gauged the authority and reliability of teachings based on how clearly they can be traced back to the original apostles—those who directly witnessed Jesus’ life and ministry. Describing something as “apostolic” associates it with the 12. Church historians even use a special title—Apostolic Father—for important leaders like Clement of Rome, who knew the apostles personally. So the distinction matters. Here’s what we know about how the Bible uses the title apostle, and how the early church described Luke. Passages like these make it possible that Luke could’ve been considered an apostle, but in the three times Paul mentions him in his letters, Luke is never referred to as an apostle. And don’t forget: Luke wrote more than one quarter of the entire New Testament—including the only canonical account of the early church’s history. He had plenty of opportunities to use this title for other believers who were “sent,” including himself, but he didn’t. Scholars are generally cautious to use the term apostle, and wouldn’t use it for Luke. However, in a non-academic setting, nobody would bat an eye if you called Luke an apostle. People often use the term to describe any prominent Christian who was there in the earliest days of the church. There are only three verses that explicitly mention Luke (although a fourth-century church father argued that there could be a fourth). If we accept Luke as the author of Luke and Acts, then there are also technically the “we” passages, in which the author of Acts includes himself in the narrative. However, he’s not a character of consequence in that narrative. This passage reinforces Luke’s position as one of Paul’s close companions. Colossians 4:14 is the only passage that mentions Luke’s role as a physician. This verse is one of the tenuous pieces of “evidence” that Luke wrote some of Paul’s letters, including this one. More on this later. It’s generally believed that these passages either indicate the author was an eyewitness or that they used materials from someone who was. But some have also argued that it was simply a popular convention: ancient authors inserted themselves into historical narratives. Bart Ehrman—a famous secular Bible scholar—takes this a step further and argues that it was a deliberate fabrication to lend credibility to the account recorded in Acts. However, if we accept Luke as the author of Acts, these are technically references to Luke. How much of the Bible did Luke write? The Gospel of Luke and the Book of Acts are generally considered a two-volume set because they’re both addressed to Theophilus, appear to be written by the same person (even if it wasn’t Luke), and have common themes and language, so they’re often referred to as Luke–Acts. Between these two books, Luke wrote a whopping 27.5 percent of the New Testament—that’s more than anyone else, including Paul. But both Luke and Acts are technically anonymous. So how do we even know Luke wrote them? There’s room for debate, and some scholars have argued against Luke’s authorship, but no serious alternative has ever been suggested, and there are still plenty of reasons to believe he wrote them. Did Luke really write the Gospel of Luke? In Paedagogues, Clement of Alexandria, who lived from about 150–215 AD, refers to passages in Luke as things Luke said. Additionally, the Muratorian fragment—possibly the oldest surviving list of the biblical canon—lists Luke as the author. Eusebius of Caesarea—the father of church history with access to countless ancient books—was arguably the best equipped to provide an alternative author, but he never suggested anyone other than Luke wrote this gospel. Did Luke really write the Book of Acts? The opening sentence of Acts addresses the same person Luke was written to—Theophilus—and references “my former book,” which makes a pretty convincing case that Luke and Acts were written by the same person. Especially when you consider the similarities in style, language, and themes throughout the two. Additionally, the early church supports that Luke wrote this volume as well. Secular and Christian scholars agree that these books were both written by the same person, but not everyone believes it was Luke. The biggest argument against Luke as the author of these two volumes is that there are perceived “inconsistencies” between his account of Paul’s missionary journeys and Paul’s own accounts as recorded in his letters. 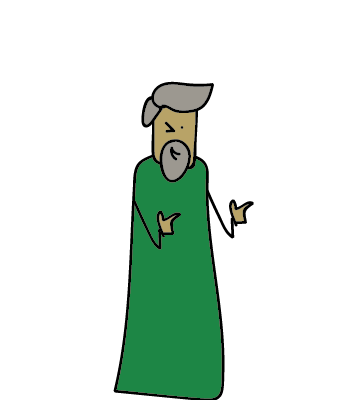 Some also argue that he misrepresents Paul’s theology. One would expect a close companion of Paul to get these things right. For example, in Acts 9:19–30, we read that immediately after Paul’s conversion, he spent time with the believers in Damascus, preached for “many days,” and eventually came to Jerusalem. But Paul says he didn’t go to Jerusalem right away (Galatians 1:15–17), and that he was “personally unknown” to the Christian churches of Judea (Galatians 1:22). This certainly appears to be a contradiction, but the language is ambiguous. Acts doesn’t specify how much time passed before Paul went to Jerusalem, nor does Paul being “personally unknown” the the churches overall mean that he couldn’t have had private meetings with the apostles or that the churches had never heard of him. Some also argue that Acts 15:1–35, which records the Council of Jerusalem (where the apostles determined that Gentile believers didn’t need to follow the Law of Moses), contradicts Paul’s account of the same event in Galatians 2:1–10. However, others argue that these are two separate events. There are a few instances like this where Paul and Luke appear to contradict one another, but where the language (and genre of Acts as an ancient historical narrative) is ambiguous enough that there is room for interpretation. Did Luke write any of Paul’s letters? None of Paul’s letters claim that Luke wrote them, but similarities in language and theology between Luke–Acts and the pastoral epistles (1 Timothy, 2 Timothy, and Titus) have led some to argue that Luke was in fact one of Paul’s amanuensi. However, this argument is purely conjecture. There’s simply not enough evidence to support (or necessarily refute) this claim. Is Luke a reliable biblical author? Luke has both been praised and criticized for his accuracy and attention to detail. Some hail his work as a marvel of ancient history, while others denounce it as a fabrication designed to push a theological agenda. In spite of instances like this, many scholars find Luke remarkably reliable. In fact, some argue that these “errors” are simply conventions of the genre Luke was writing in. Luke’s approach—especially as evidenced by his opening statement in Luke 1:1-4—clearly imitates the historical method, leading some to place Luke alongside the father of the historical method, Thucydides (who lived from 472 BC to around 400 BC). Of course, there are also those who reject Luke’s reliability because he describes miracles and the divinity of Jesus. This argument simply comes down to what someone already believes about Jesus, because if you suppose Jesus really is the son of God, then it shouldn’t come as a surprise that he would be capable of doing things humans can’t—including empowering other humans to do those things. 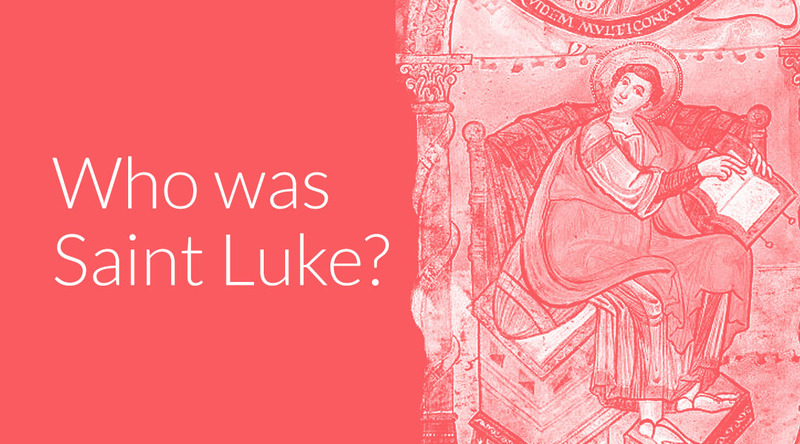 For someone who wrote so much of the New Testament, we don’t know very much about Luke. But while the details of his life have largely been lost to history, Luke’s contribution to Christianity and the world live on in the Gospel of Luke and Book of Acts. Without this doctor-turned-historian, we would have massive gaps in our understanding about what happened after Jesus’ ascension. But thanks in no small part to his careful attention to detail and meticulous documentation, nearly 2,000 years after his death Christians around the world are still following in the footsteps of the original apostles. Well done for a popular piece on a historically difficult topic such as Luke. It seems most authors never touch on the tradition that Luke got the source material for Luke 1-2 from Mary herself. Thank you for all the hard work and effort you are pouring into this. I appreciate the information and how it’s laid out. SO VERY EASY to understand. You put the pictures in and this makes it even more fun. Rich blessings be poured out to this ministry and to you and your household. I also applaud you for the colors used in your materials, it’s very easy and soothing on the eyes!!! Great job. I have read the Gospels, but I have a whole new understanding. I’m excited to read about the other apostles. Thank you.